OH MY GOD.....i just feel the need to *faint* (a recent photo by… - BODIE 3.7 . you'll never walk alone ! mmm, looking good! I don't recognise this moment, this combination of stubble, jersey and Bodie-haircut ... where is it from? (mind you, that's probably just me having such a rubbish memory (>.<) :-) Anyway it's a lovely pic - thank you for sharing! mmmm indeed and i'm loving the combination of stubble and jersey and the look of determination. I have seen a blurred version of this image in a newspaper article but never this clear and i'm sorry that i know no more than that but i do love it. 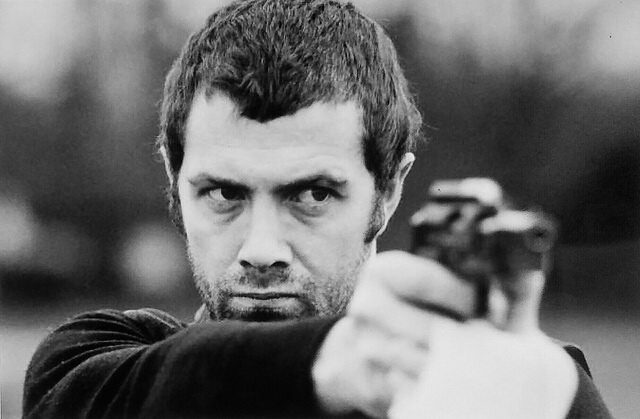 The information that belongs to the image just states that this is Bodie of The Professionals dated 20th December 1979. One of my fav facial expressions. Look at these eyes. yes yes, i'm looking and full of determination aren't they. It's a gorgeous image of him and thankyou for looking. indeed, very defiant look by Lewis here but utterly gorgeous. I'm used to seeing him pointing a gun but he's usually not sporting a beard. Thanks for another great find. I like him better clean shaven but a bit of scruff isn't too bad.